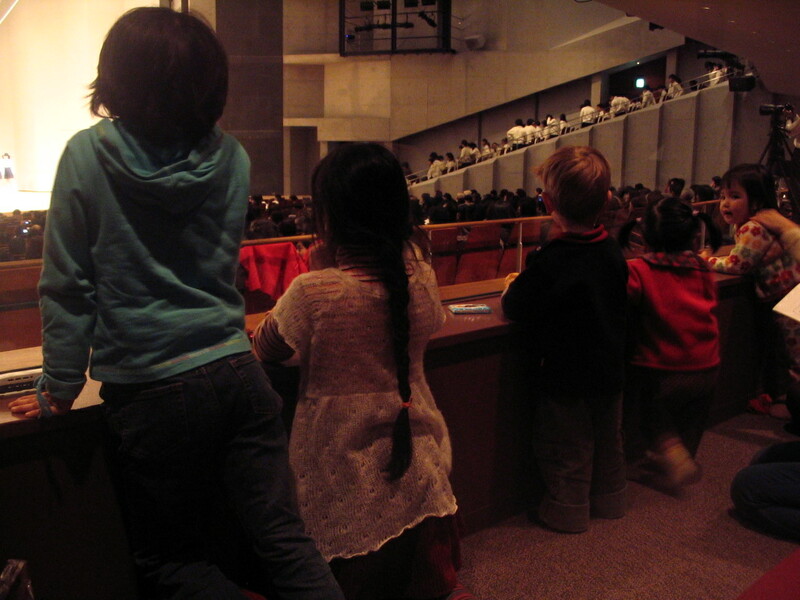 Children listening to a concert at the soundproof parents-child-loge in the local concert hall. There is a loudspeaker system bringing the music inside, but if they get bored and make noise, nobody will be disturbed outside. Isn't that great? And for big events, there is also a free baby-sitting service provided by the concert hall. Very family-friendly!